Saturday night in Colima Mexico, Ava Knight took the IBF Flyweight Worldtitle from Arely Mucino fo Mexico. The fight ended in a second round knock outthat ended the fight with a bang. Ava Knight: "I walked into that fight confident. I knew that if I wanted to win fare and square, I would have to come out with a knock out because I didn't want any questions to who really won. Coach Ben Bautista of San Francisco had a plan, and we executed it exactly how we wanted to. Camp was hard, long, and a three hour drive back andforth from Chico to SF for training was brutal, but it was part of my road to becoming champion. I knew this was my chance to grab a title at a weight class I have been yearning to fight in since I started. Flyweight is my naturalweight class, walking around at 114, so staying at this weight class strong is what I aim to do. I feel no one can beat me in the flyweight division and I am determined to stay Champion after 5 long years of being a professional and going through some tough fights that most girls don't see until they reachsuper star status. The actual fight was short. The first round for me was a feel out round. I wanted to see what she was planning on doing and where she was going to be throwing her punches from. It was a close round, we were both being cautious and watching each other. The second round I noticed the difference infacial expression. After being hit, I saw that she didn't want to exchange anymore. 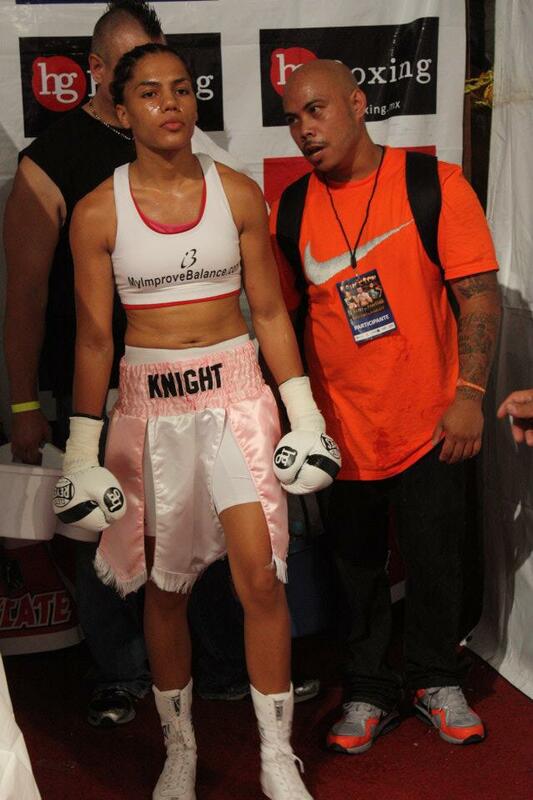 I felt strong, and she was getting a taste of what a real flyweight feels like in the ring. I saw my openings and came in and executed a combination that ended in a straight right hand that dropped her to the floor, which the refereecalled a slip. After that moment I thought, I'm not going to get my knock downs counted for so it's time to get to work. I came in with a body punches that ended with a left hook to the head that took her out. The referee waived the fight off immediately and her corner and the doctor came in to help her. Concerned about her safety, my corner and I all took a knee and prayed, and when finished, we came up paid our respect toher and enjoyed our victory. I am very proud to take home a championship to the people who have paid so much attention, time and love to bring me to this point in my life. I've always heard that I was going to be a world champion, and now I can finally say that I am. I have come to realize that boxing brings people together like family. My boxing family is a large one, but complete in the sense that I only need themto venture on the journey to get me to the top and stay there. Boxing is alonely sport, so the team that backs you up are the people who care enough toput in time and work to see you succeed. Thank you all for the support and love I have felt for the work that I have been put in. Thank you to my team, SFC, my coach Ben Bautista, sparring partners,the promoter Hector Garcia for the opportunity, Team Mucino for coming into thering, and Improve Balance Bands for sponsoring me for my training camp. I will work hard every day to live my life as a champion and to keep this world title in my hands."